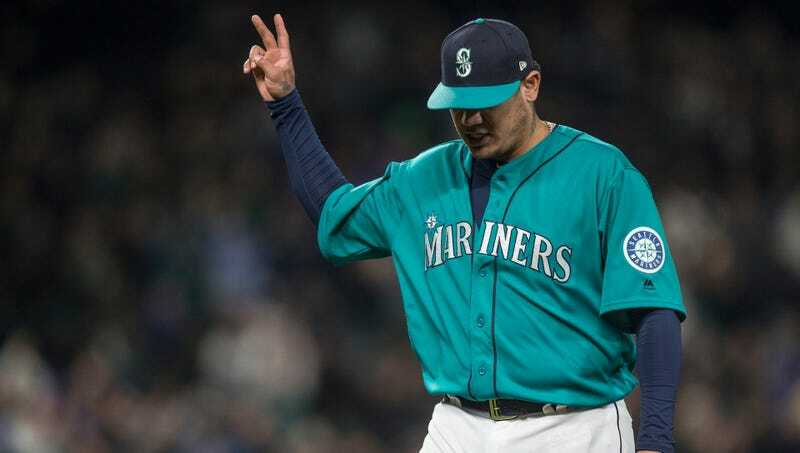 Mariners pitcher Felix Hernandez has had an underwhelming start to the season, and it turned worse Tuesday. Hernandez lasted two innings in Seattle’s 19-9 loss to Detroit, ceding four runs before getting yanked after 48 pitches. Hernandez leads the majors in hits allowed with 39 and currently has a 4.73 ERA. He was pulled against the Tigers because of a “dead arm,” and now he’s going on the DL. This wasn’t the only bad news for the Mariners, who are 8-13 and last in the AL West. Starting right fielder Mitch Haniger went down last night with a strained oblique and will miss at least a month with the injury. If this is it, well, we’ll always remember 2009 and 2010, when Felix just threw marbles and chainsaws at people. Do Jeb And Jeets Have Enough Money To Buy The Marlins?